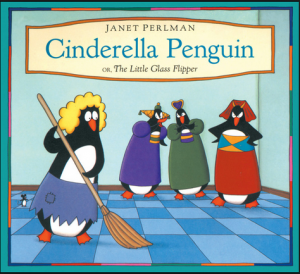 Why not retell a fairy tale from a different point of view? and then write your own version! Ahlburg, Allan. Previously. 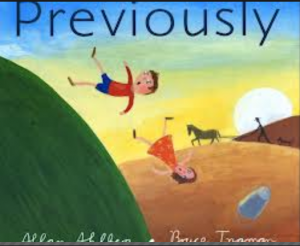 Cambridge, MA: Candlewick Press, 2007. “The adventures of various nursery ryhme and fairy tale characters are retold in backward sequence with each tale interrelated to the other. Includes Goldilocks, Jack and the beanstalk, Jack and Jill, the frog prince, Cinderella, and the gingerbread man”. – CIP. 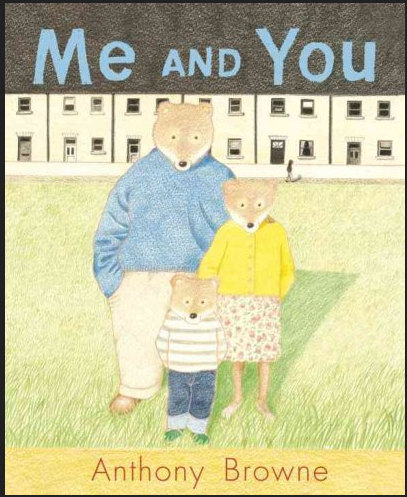 Also useful for teaching sequencing and parallel structure. 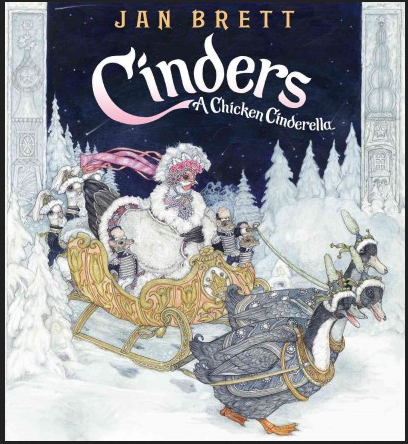 Brett, Jan. Cinders: A Chicken Cinderella. New York: G.P. Putnam’s Sons, 2013. “Cinders, the most picked upon hen in the flock, becomes the most loved by Prince Cockerel when she arrives at his ball looking so beautiful that even her bossy sisters do not recognize her.” – CIP. Browne, Anthony. 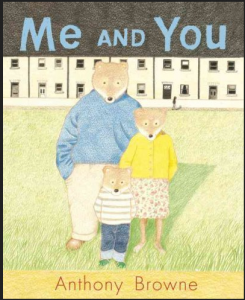 Me and You. London: Doubleday, 2010. Hodgkinson, Leigh. 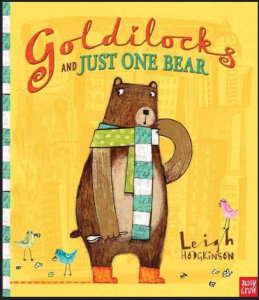 Goldilocks and Just One Bear. Somerville, Mass. : Candlewick, 2012, c2011. Perlman, Janet. Cinderella Penquin, or the Little Glass Flipper. Toronto: Kids Can Press, 1992. Scieszka, Jon. The Frog Prince, Continued. New York: Viking, 1991. 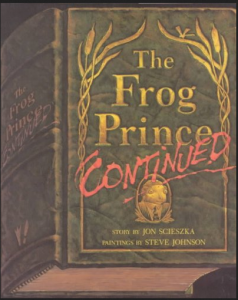 “After the frog turns into a prince, he and the Princess do not live happily ever after and the Prince decides to look for a witch to help him remedy the situation.” – CIP. Scieszka, Jon. 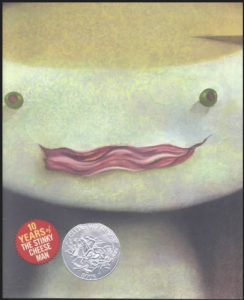 The Stinky Cheese Man and Other Fairly Stupid Tales. New York : Viking, 2002.